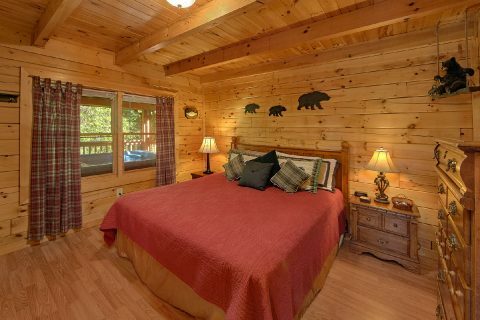 Nestled in the Lone Branch Creek Resort area that's located just behind Dollywood Splash Country, you'll find "Cherokee Creekside!" 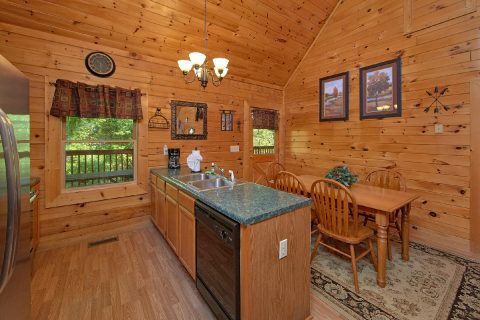 This lovely 2-bedroom log cabin boasts a nice spot by a Smoky Mountain creek, so this rental is ideal for anyone looking to getaway to nature in the Smokies. 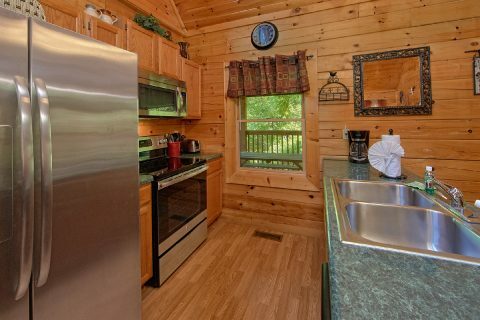 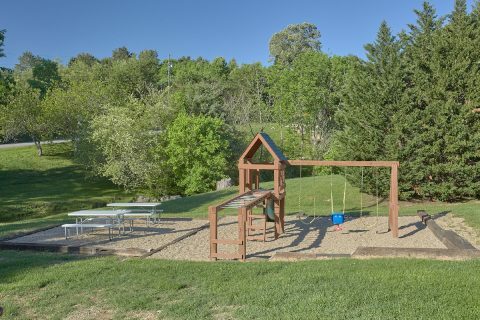 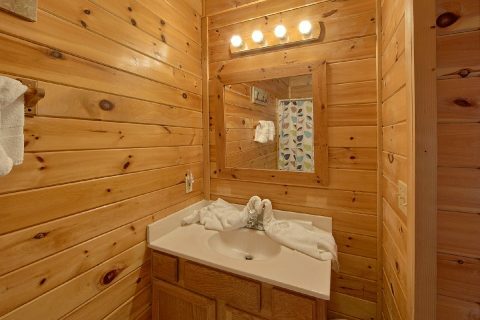 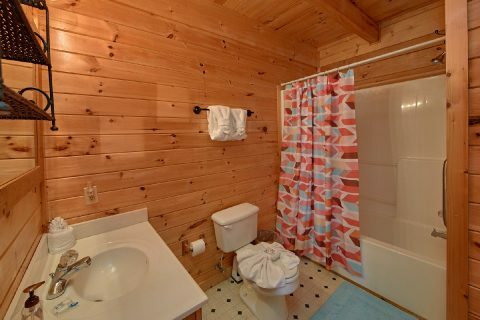 Thanks to this cabin's great location near Dollywood & Dollywood Splash Country, this rental is only 7 miles away from the heart of the Pigeon Forge Parkway, where you can find fun attractions like the Dixie Stampede Dinner Show, The Island, and The Historic Old Mill. 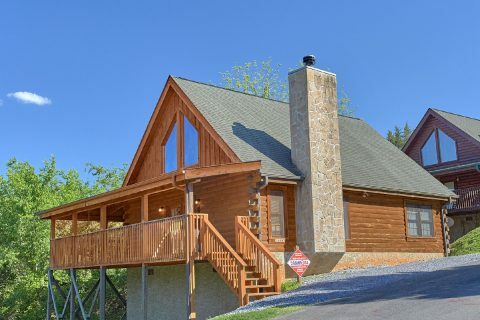 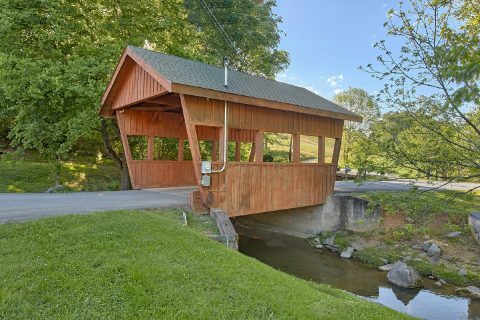 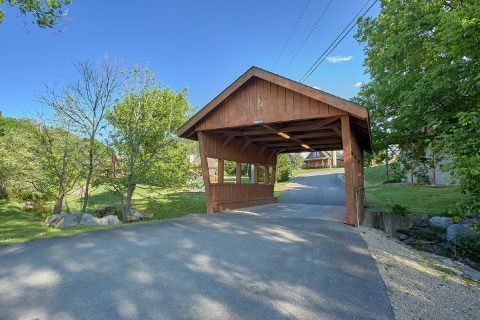 Better yet, this rental offers guests the chance to take peaceful back roads that allow them to access Gatlinburg and the Great Smoky Mountains National Park. 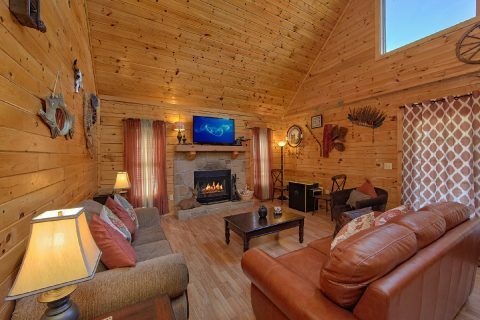 When you aren't busy exploring the Smokies, you'll love kicking back at this log cabin with everything you need to unwind. 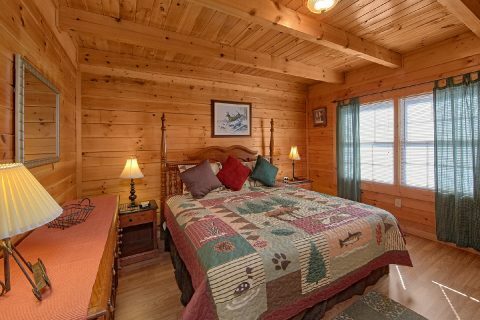 With 2 king-size bedrooms and additional sleeping space, this log cabin can accommodate up to 6 guests in comfort, so it's ideal for a family vacation or a fun getaway with friends. 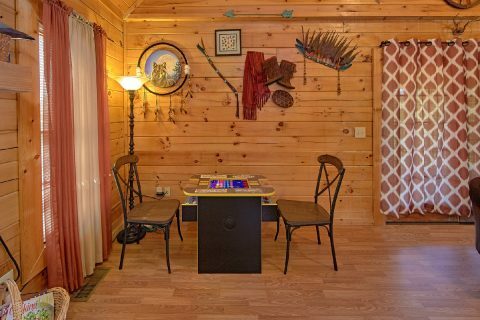 In the inviting living room, you can relax with good company by the wood burning fireplace or try to set the high score on your cabin's sit-down multi-cade arcade game. 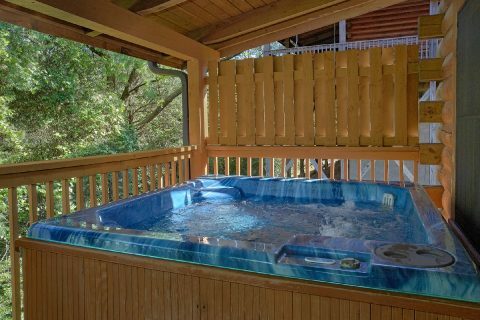 With your cabin's hot tub, you can let your cares and worries melt away in the tub's steamy waters. 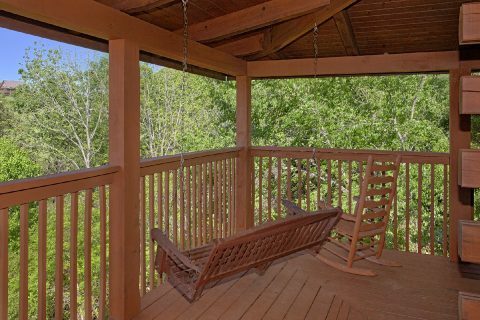 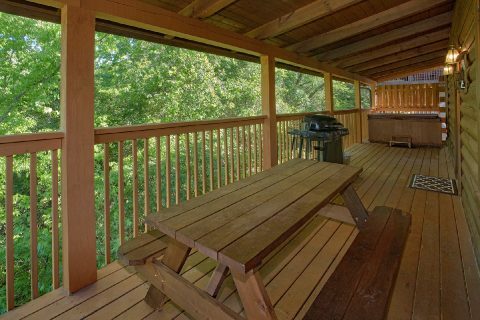 From this cabin's back porch, you can sit back and enjoy the sights and sounds of nature from the nearby creek. 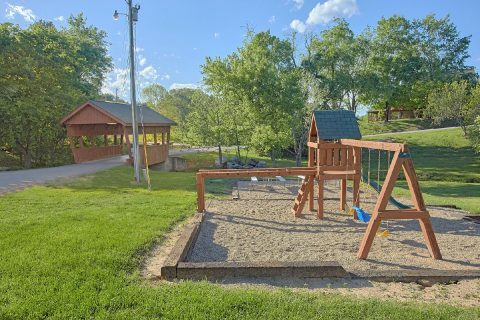 This rental also provides guests with practical amenities like a full kitchen, gas grill, WiFi Internet, and a washer & dryer to make your stay simple and convenient. 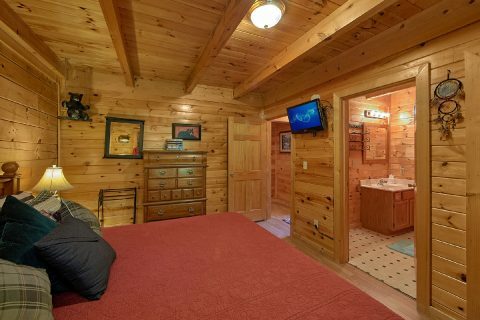 Reserve your Smoky Mountain cabin by a creek today with Cabins USA Gatlinburg to earn a 15% discount on your nightly rate! 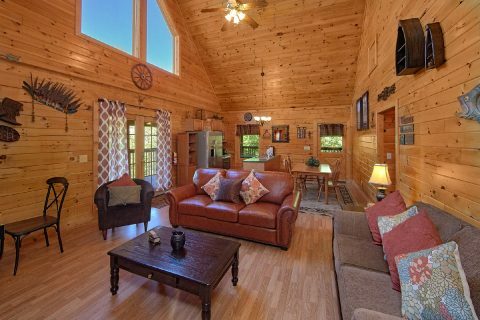 Book today & save on a great vacation in the beautiful mountains of Tennessee!